These days, the rise of electric auto rickshaw in India is on the increase. This is because of its great convenience, comfort, affordability and being environment-friendly. This form of transport indeed has opened up avenue of opportunities for both passengers and those who would like to get into this business, thereby helping them to increase their income manifolds and support their families. Besides the passengers, even owners of e-rickshaws are immensely benefited by owning this vehicle. Since it is battery operated, they do not have to worry about frequent police checks for pollution certificates and the like. At the same time, it does not make any noise when traveling and is quite smooth on Indian roads. Being easier to drive, any person of any gender and eligible age can use it, for adding income to the family. Even senior, disabled and women can drive it safely, without any hassle or inconvenience caused to anyone. Children and even adults are noticed to immensely enjoy riding the e-rickshaw since the speed limit is low than that of the normal auto rickshaws, which run on petrol and is completely safe to be depended upon to reach the destination. 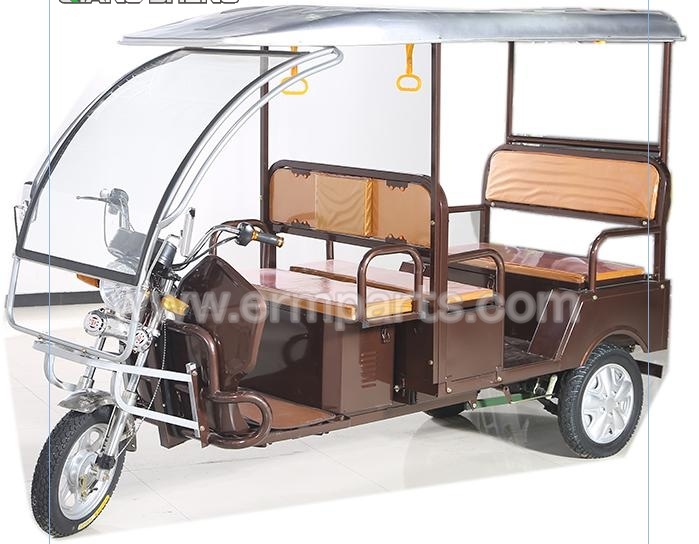 Qiangsheng Electric Tricycle Factory is one of the best option for Best E – Rickshaws.